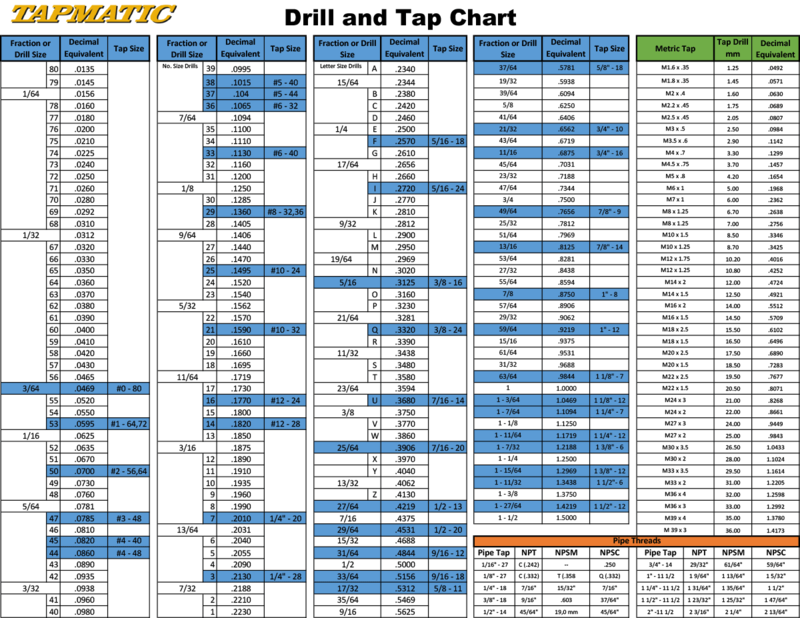 Note: Most drill size charts are based on using standard job drills which can drill over size by approximately .003. These charts are based on .003 over size condition to achieve the proper percentages of thread. With today's high precision drills, they are now capable of drilling to near net size. When using a high precision drill or a "G" drill you should refer to the drill size formula's in the "Tapping Formulas" section.